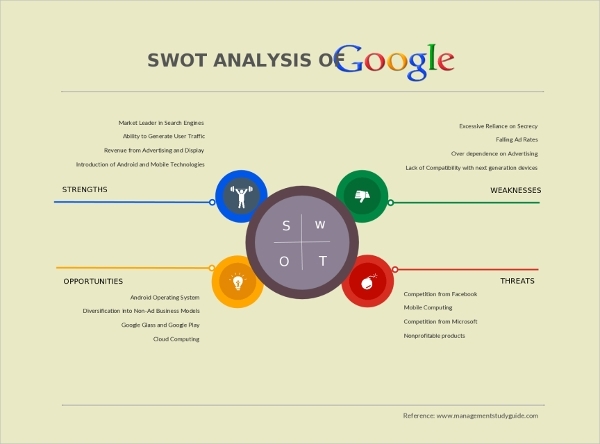 SWOT analysis helps organizations to evaluate how they are doing in the market. It estimates the strengths, weakness, opportunities, of the company and also examines the threats posed to the company. The weaknesses and strengths are internal to the companies whereas the opportunities and threats are considered external to the company. The members of the different teams share their diagrams. In fact for a new project, each one is encouraged to share their SWOT Diagram anyway they choose. These are essential before launching any project or any product. This consists of templates which are professionally designed. One can use it to analyze changes as well as based on the revision history, take appropriate action. It does have features which can be used for collaborative efforts and projects. It does not need to be installed and is a web based application. 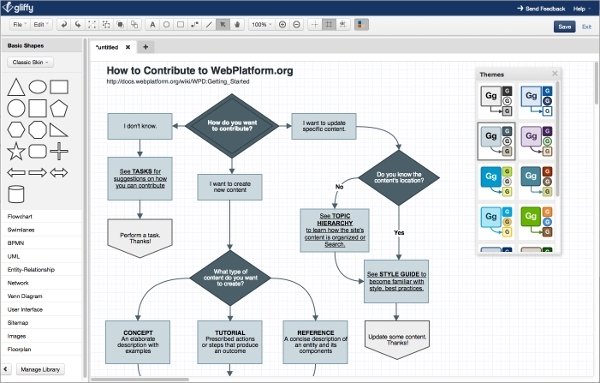 This helps with collaboration for flowcharts, UML, org charts as well as network diagrams and more. This works with Mac as well as PCs and there are custom templates as well as shape libraries and logos which can be used by the team. It can also be integrated with Google Drive, JIRA, Confluence and more. 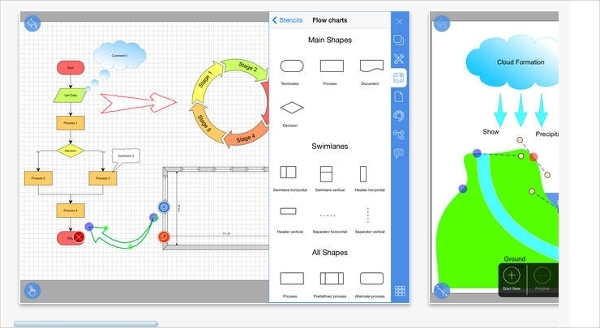 This allows for customization using tools as well as shapes. This software is great to create a SWOT analysis overview as well as it helps in simplifying decisions for business planning and marketing. 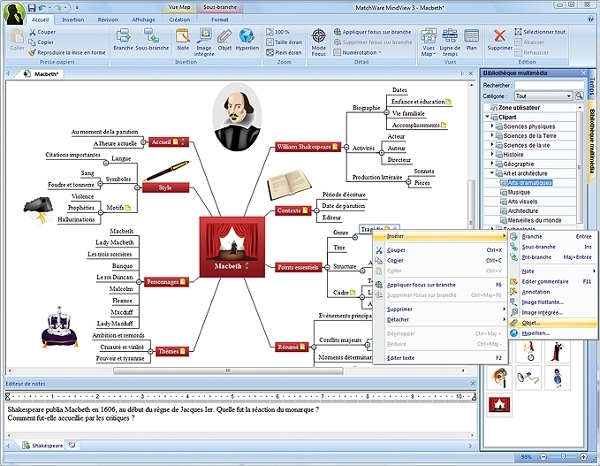 SWOT maps can be converted to presentations and reports as well. There are Quick-Start Templates, which help the user. This software even allows for printing of SWOT analysis as a poster. Notes can be inserted as well as hyperlinks to websites can be added. This one allows for a great deal of customization. This software helps find out the strategic fit between the external possibilities as well as distinctive internal capabilities that help to prioritize actions. It contains quick-start templates and helps with creation of mind maps, diagrams as well as workflows, floor plans and fashion designs and more. One can help with flow charts, network layouts, floor plans, sketches, UML as well as illustrations. It helps with the state of the art diagramming. It has inbuilt styles as well as themes. There is auto-rotating algorithms as well as sketch mode which allows single click styling. It is downloadable and runs on mobile devices, tablets as well as on desktops. It can also be used for mind mapping charts. This app is created for strategic planning and works on Android phones of versions 1.6 and higher. 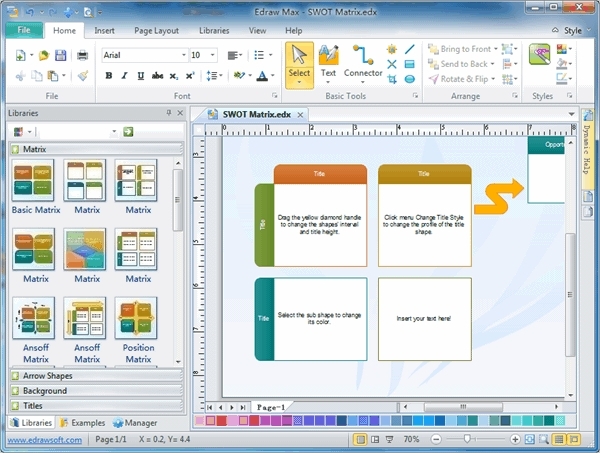 This helps the user with SWOT analysis due to the Quick-Start Templates. The size of this app is just 329k and this helps with applying the concepts of SWOT analysis and strategic planning as well. Smartdraw is popular as it provides great results in aligning the text and allowing for professional design themes to be applied. 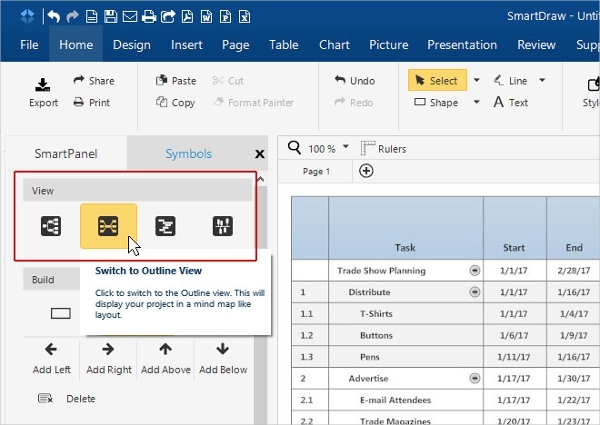 It has templates, you can share your diagrams in pdf format and shared on dropbox, google drive as well as onedrive. It also works on different devices and it offers support free of cost for the users. 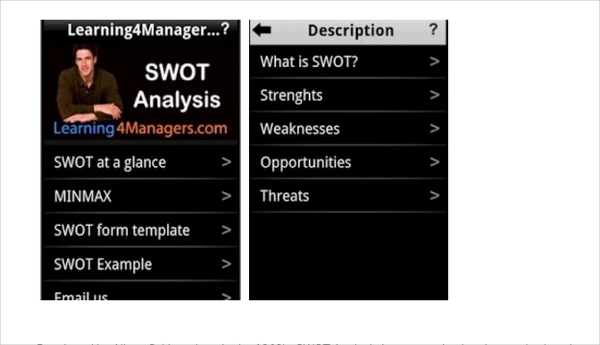 What is SWOT Analysis Software?